The Christmas party magic performance has become an American staple event. Business owners want to reward hard working employees and their best clients and vendors. Family and friends gather to celebrate and exchange gifts. This makes the Christmas party a magical event and Patrick is the best addition to make it all the more magical. As Patrick likes to say Magic Makes It Happen. This is the perfect time to include magic in your Christmas Party plans. Strolling through the Christmas Party magically performing for intimate groups is a staple of Patrick’s magic repertoire and if followed with a stand up performance for all to enjoy, you have the makings of a complete evenings entertainment. Festive and fun, while Patrick is primarily an adult entertainer, kids are entertained as well. Adorned in a bright red vest and topped with a Santa Claus hat, Patrick will stand out and your guests will quickly be asking for him to come do some magic at their groups gathering. Energy is what you want in any party atmosphere and Patrick delivers. The prime weekends go fast so the smart Christmas Party planner books early to make sure and not be left out. 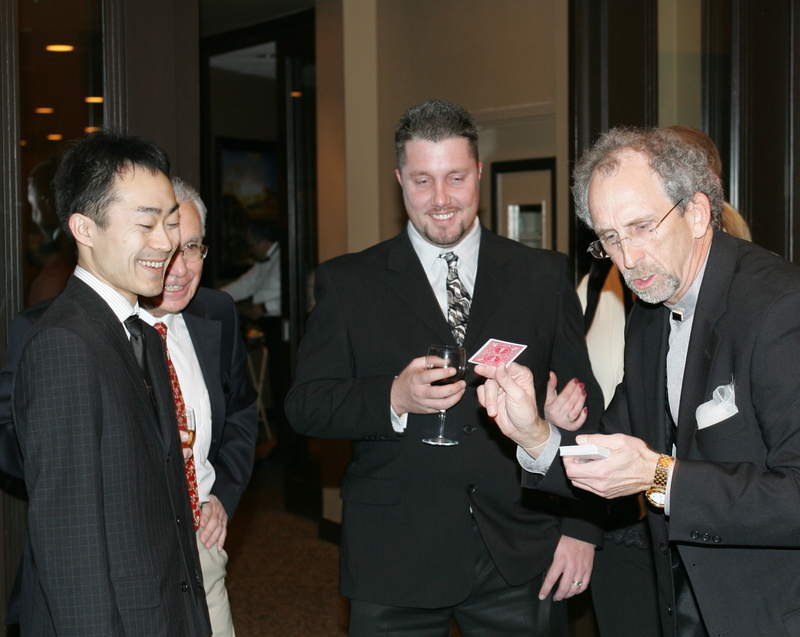 Calling Patrick at 602-625-8790 can ensure that you have the highest quality live magical entertainment for your event.